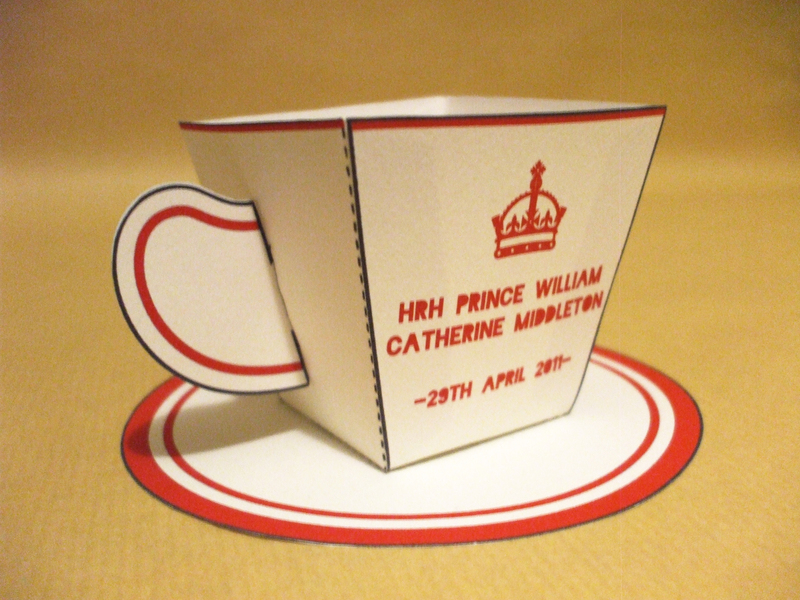 The Queen’s Diamond Jubilee has been in the news a lot and with the celebrations culminating in June we will keep hearing about it! 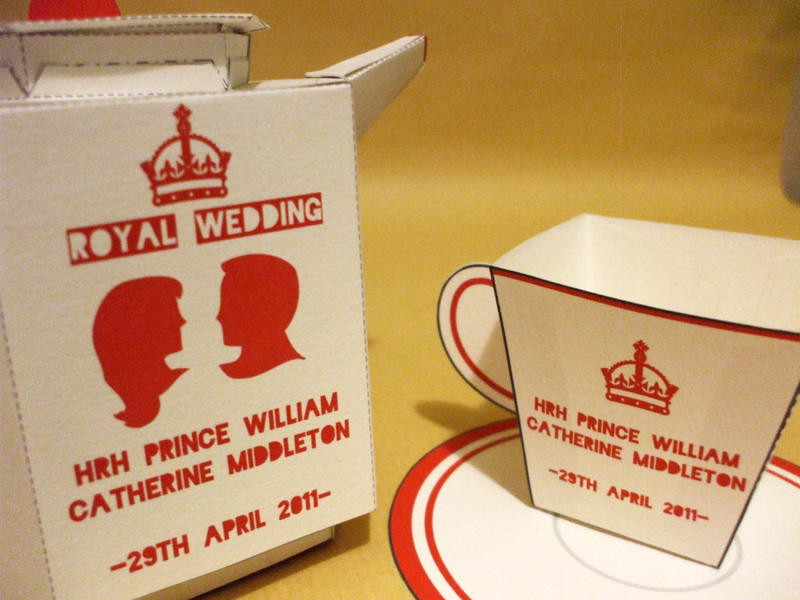 Just like the royal wedding there is a lot of Jubilee ‘tat’ out there. To try and save you from that here is my free piece of modern merchandise to download and make. 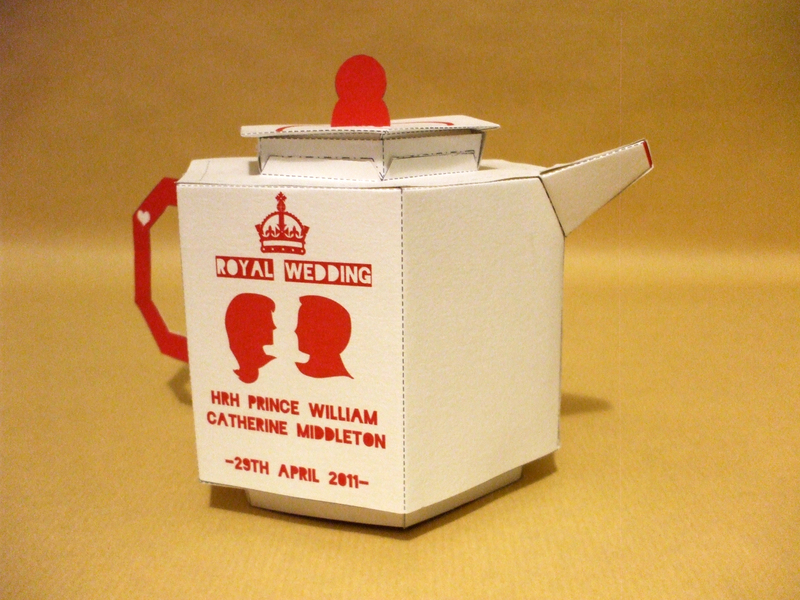 Also as an extra I have re-uploaded the Kate and Wills tea-pot that has been requested a few times. Enjoy and let me know how you go with it! There are loads of Royal Wedding inspired designs out there so I wanted a go too. This is my own take on the wedding china that has started filling up the shops with a touch of the age of the credit crunch. 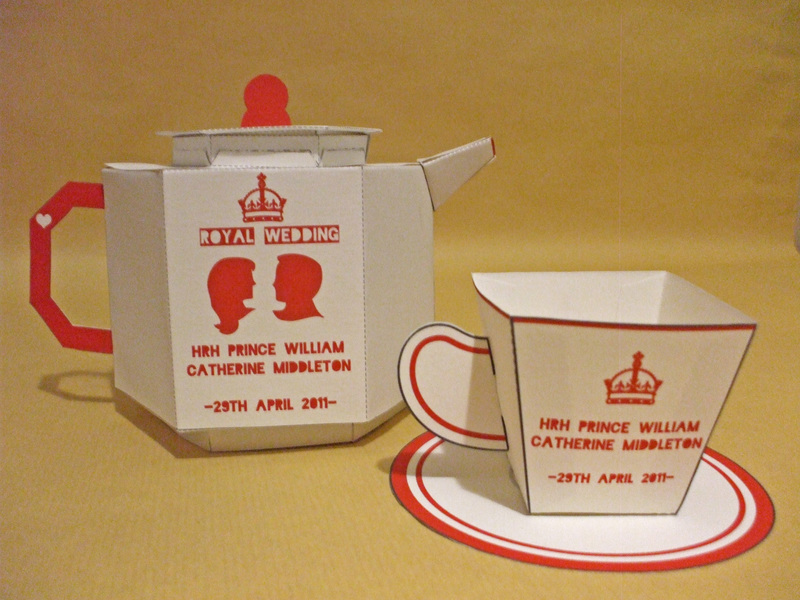 My simple, contemporary papercraft tea set is a great way to celebrate William and Kates marriage (and of course the bank holiday-fest). The cool Rob Ryan style typeface is ‘Blackout’ and definitely on my list of favourites at the moment.